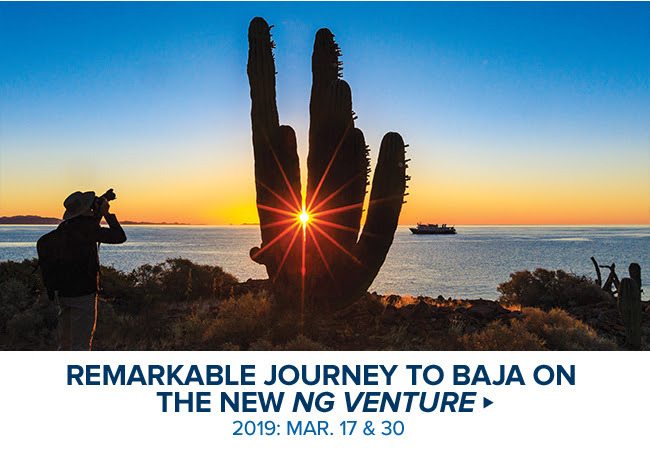 Travel With National Geographic Photographers! And there’s more including exclusive gear recommendations and an onboard gear locker. 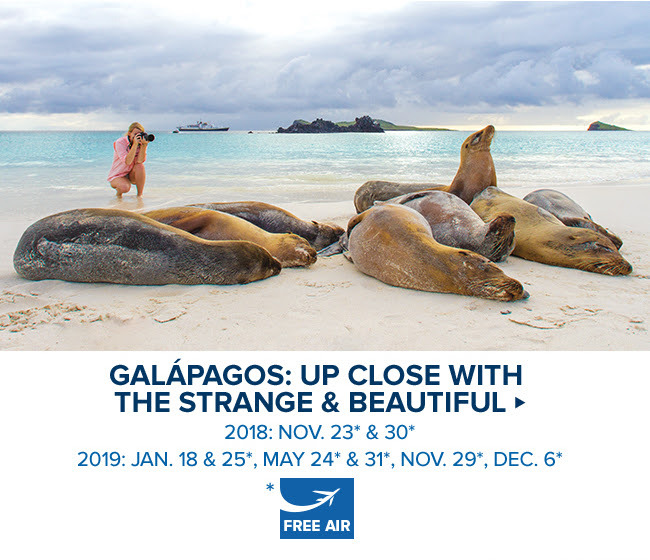 *Free round-trip airfare: Free round-trip economy group airfare from Miami to Galápagos on select departures through Dec. 2019 on National Geographic Islander and National Geographic Endeavor II. Upgrade to business class to Guayaquil for $500 on select dates (space available). Book by Oct. 31, 2018. Subject to availability at time of booking and must be ticketed by Lindblad Expeditions. In the case that Lindblad's group flights are no longer available at time of booking, we reserve the right to issue a credit. Valid for new bookings only.